Book your transfer with Hervey Bay Limousine Service on our Private Airport Transfer service today! At Hervey Bay Limousine Service our Private Airport Transfer service is available for transfers between Hervey Bay Airport, and 10 locations across Australia. The Private Airport Transfer service aboard Hervey Bay Limousine Service is an express on-demand door-to-door transfer service. Your vehicle will be travelling exclusively for you and your group, directly without stops or delays, to your destination. Your transfer time will be best suited to match your specific requirements and the driver will pick you up and drop you off whenever it suits you. Our Private Airport Transfer service is available 24 hours a day 7 days a week and can be booked up to 24 hours ahead of travel. At Hervey Bay Limousine Service we offer fixed transfer fares starting from $28.00 AUD total one-way and with enough seat capacity for up to 8 passengers. Your final fare with us includes luggage allowance for 1 carry-on bag and 1 check-in bag per passenger. Also included in all our fares are airport parking fees, any tolls along the route and your drivers waiting time. 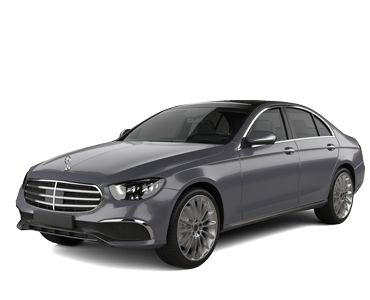 Hervey Bay Limousine Service is a transport company based in Australia and we have been a professional transport supplier on Jayride since May 2017. Welcome to Hervey Bay limousines services, offering prestigious stretch & formal limousines to hire, for Weddings, Formals, Balls, Wine Tours, Birthday Surprises, and Special Occasions. Business established 16 years. We pride ourselves on service and ensure all vehicles are chauffeur driven by professional staff that are patient, courteous and friendly. Vehicles are serviced and maintained, effectively to ensure their reliability, and are immaculately presented, on arrival. Always excellent service by friendly staff making the trip pleasurable. Arrived slightly early so no need to worry about being collected & will definitely use them again. Our Driver was waiting as we arrived at the airport and after waiting for our bags, helped to take them to his car. Very friendly driver and reliable service, would highly recommend as easy process to book online. Ride was really great. Very friendly driver who arrived just before time & waiting patiently while I locked up. Car was clean & very smooth drive showing me features along the way as I am new to the area. Will definitely use them again - a great company. The driver was on time and very curteous helped with luggage. Car was clean and comfortable and safely took me to my destination where he helped with my luggage again. Excellent service. Highly recomended.